Cerebral Palsy can occur if there are complications during labor and delivery and there are prolonged periods of oxygen deprivation to the baby’s brain. If an abnormal fetal heart pattern develops, the doctors, midwives and nurses must act quickly to ensure that the baby does not suffer from a lack of oxygen. They must take immediate measures to relieve the stress. If the abnormal heart rate continues, an emergency cesearan section would need to be performed to deliver the baby immediately to avoid any injury to the baby’s brain. If your infant suffers from cerebral palsy and you believe it was the cause of medical negligence by your doctor, midwife or nurse from either mismanaged labor or inappropriate methods during delivery, the Cerebral palsy lawyers at Gilman Law LLP can help. Birth injuries have time limitations which vary drastically in each state. 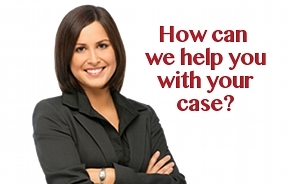 Therefore, it is best to contact an experienced personal injury lawyer to discuss your specific case. The Massachusetts Cerebral Palsy lawyers will be your child’s best advocate and determine whether your infant suffered cerebral palsy as a result of substandard care by a healthcare provider. According to the United Cerebral Palsy Association, approxiately 8,000 infants are diagnosed with Cerebral Palsy and up to 1,500 preschoolers are recognized as having it each year. Almost half of all children with Cerebral Palsy will also experience a seizure disorder and also some level of mental retardation, such as a learning disability, vision, speech, hearing, or language problems. 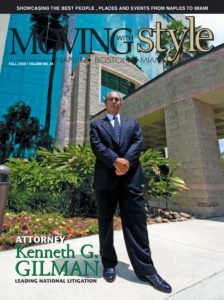 The Massachusetts cerebral palsy attorneys at Gilman Law LLP have a great deal of experience representing medical malpractice and birth injury victims that result in cerebral palsy. Cerebral palsy can be devastating to families and our attorneys are aware of the emotional and financial costs of such medical malpractice. We are committed to obtaining the best possible financial results for the victims of medical negligence and their families. If you or a loved one have been victimized by medical malpractice or negligence, we urge you to contact one of the Massachusetts cerebral palsy attorneys at Gilman Law LLP immediately. Our compassionate and committed medical malpractice lawyers are dedicated to helping the victims of medical malpractice and birth injuries get their lives back on track. If your child has suffered a birth injury in Massachusetts as a result of medical malpractice or negligence, please contact Gilman Law LLP for a free, confidential, no-obligation case evaluation. The Massachusetts birth injury malpractice lawyers at Gilman Law LLP are ready to help you get the compensation your family deserves.